Red Lion Controls' multi-carrier 4G LTE Sixnet series RAM 6000 and 9000 industrial cellular RTUs have earned NEMA TS2 section 2 compliance, which validates industrial equipment for use in Intelligent Traffic Systems (ITS) applications. By providing an easy upgrade path for ITS environments without communication or unreliable landline options, Red Lion’s industrial RTUs enable system integrators, municipalities, engineering firms and network integrators to benefit from easy-to-deploy cellular connectivity. ITS applications often include remotely located overhead message boards, road condition and speed zone signs, traffic lights, intersection monitors and collision avoidance systems that require around-the-clock, low-latency network access. The high-bandwidth and industrially-hardened qualities of Red Lion’s RAM RTUs support reliable communication with remote sites – even those that may change in location such as mobile traffic trailers. Also supported is monitoring of multi-service applications that may include video cameras and traffic intersection monitoring. In addition, the rugged characteristics of RAM cellular RTUs support wide temperature ranges and high shock/vibration tolerance to protect against challenging outdoor environments. 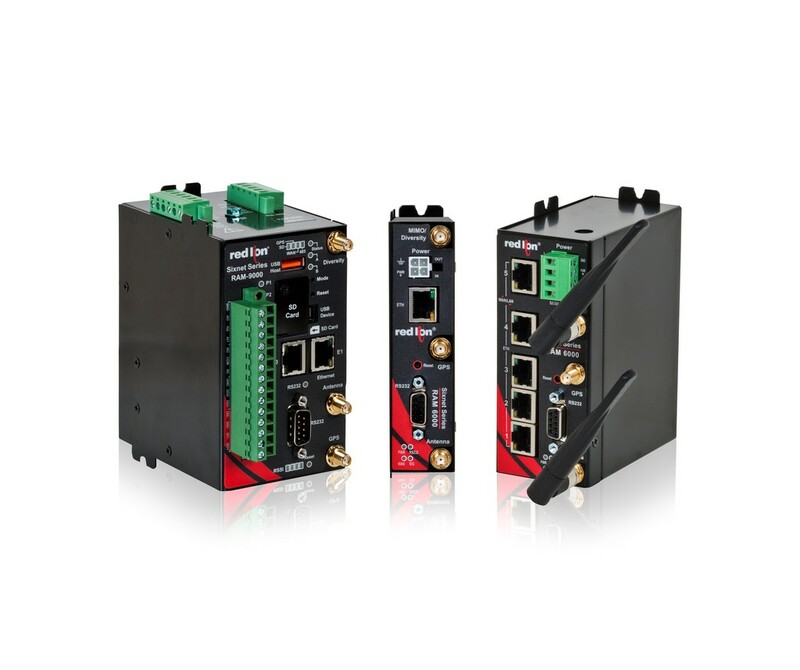 Red Lion’s industrial cellular RTUs are ready-to-deploy remote monitoring and control devices that enable customers to reliably connect, monitor and control equipment in industrial environments from nearly any location. RAM industrial cellular RTUs also feature an easy-to-use event engine that can locally trigger I/O or send SMS text messages based on real-time operational data. With multi-carrier 4G LTE support, RAM RTUs provide high-bandwidth communication over cellular networks to allow customers to select the best connectivity for their applications.